In the swirl of sexual abuse and harassment allegations doing the rounds, the suffering of the victims is paramount – there is no place for victim blaming or shaming. Actually, I’m disappointed with Morrissey. From his gilded celebrity cage, he’s adding a coruscating shame to the victims’ ordeal: that they were partly complicit. And if one thing that has emerged most powerfully so far from the historic suppression of these stories, it is the toxicity of fame. When the Old Vic announced the findings of its recent investigation into allegations around Spacey, undertaken by law firm Lewis Silkin, it stated: “Despite having the appropriate escalation processes in place, it was claimed that those affected felt unable to raise concerns and that Spacey operated without sufficient accountability. This is clearly unacceptable and the Old Vic truly apologises for not creating an environment or culture where people felt able to speak freely… During his tenure, the Old Vic was in a unique position of having a Hollywood star at the helm around whom existed a cult of personality. This admits that the Old Vic’s own processes were faulty, but it doesn’t fully take the blame. While the situations are obviously different in a number of ways, it is perhaps instructive to compare this response to that given by BBC director general Tony Hall when the results of the Janet Smith review into the Jimmy Savile debacle was published in 2016. The Old Vic are understandably keen to draw a line under the matter quickly, but it is crucial that its desire to protect the institution – Matthew Warchus commented at the inquiry press conference that “my big hope is it doesn’t reflect on the Old Vic as a name, and a brand. It was a very very hard situation to spot” – is balanced with justice for the victims. The Old Vic is to be commended for the speed of its response and the support it is offering victims. But surely, as my colleague Alistair Smith suggested, the inquiry is the beginning of the process, not the end, and additional, detailed work must now be carried out to verify and investigate the claims that have been made. 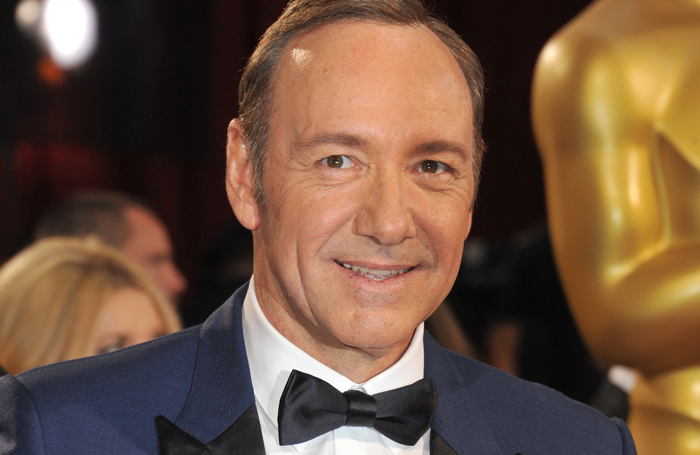 There are no official legal charges against Spacey, just a surfeit of allegations, though the Old Vic has confirmed that it encouraged 14 of the 20 alleged victims that contacted the theatre to go to the police. Smith reported that one of the key factors that allowed Savile to go unchallenged in plain sight was the hierarchical nature of the BBC at the time, with staff unable to talk to managers and very remote senior management. This chimes with the findings from the Old Vic review – it was Greene’s own structure for the theatre that seems to have been one of the reasons for the failure. Until current incumbent Kate Varah, the theatre had no executive director: only a producer beside Spacey (first David Liddiment, then Kate Pakenham, then John Richardson). So no one was in charge other than Spacey. No wonder there was no one in place to provide oversight and to challenge him.